The most commonly knocked out baby tooth/ teeth are the top front teeth. Whether it is your toddler learning to walk (remember the days of the “zombie” walk?) or chasing his/her sibling and running into a coffee table, those top front teeth especially the two middle teeth are in prime position for being injured. Don’t worry, let’s walk through the steps (no pun intended) and go through what to do. 1. Don’t panic. Pick up your kid and soothe him or her. Make sure he/she is ok. There will probably be some bleeding inside or outside the mouth. Wipe or clean as well as you can at this moment. It allows you see better and assess the situation. If everything else looks good, try to locate the tooth. The reason for this is as a dentist, if I don’t know or cannot see where the tooth is, I have to consider a few other possibilities. For example, the tooth could have been swallowed or that the tooth was pushed into the tooth socket completely. Regardless, I will most likely take an x-ray to verify the location of that missing tooth. If you find the baby tooth, you can bring it to us in a ziplock bag. Do not reinsert the baby tooth back into the socket. This leads to the question, how do I know if this is a baby tooth or not? 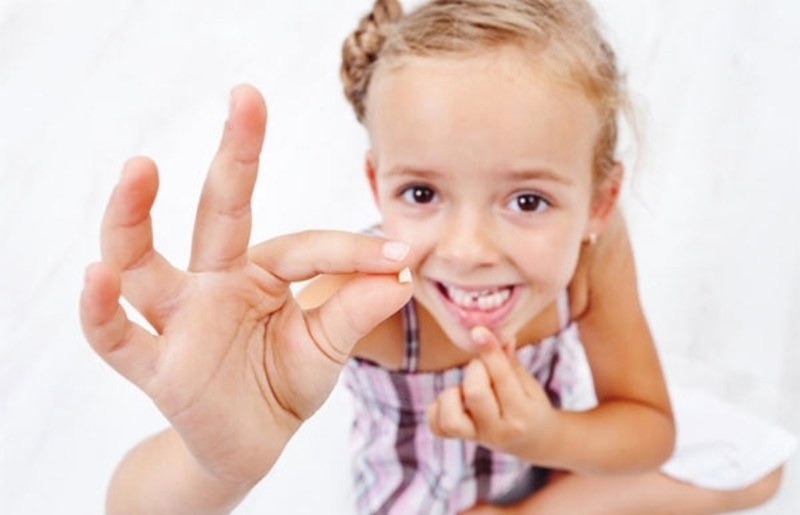 If your child is under 6 years of age, more than likely this is a baby tooth. Call your child’s dentist or even your family dentist asap. In our office, our dentists are available 24/7 for you and you family. We are all parents and understand this can be a very scary experience, let us be involved in this process so we can all figure out a plan. In the meantime, observe your child. It is understandable that your child may be upset from the event. A cold pack, popsicle, hugs and kisses are all great ideas. You may also be surprised that your child gets up from a nasty fall and continues to play as if nothing happened. Our children are more resilient than we think! Continue to observe and watch for any major changes in behavior. By that, I mean nausea, vomiting, uncontrollable bleeding, completely avoiding eating and drinking. You will know from your gut instinct if something is not right. In that case, go to the nearest urgent care or hospital center. Emergencies are by definition not something we expect, but we can definitely be more informed and prepared in case of an emergency. I hope this article will shed some light on what to do if your child knocks out a tooth. As always, we at Anchorage Pediatric Dentistry are here for you and your family. Please don’t hesitate to give us a call.